When it comes to marking and coding in your processing environment, Atlantic offers a Code Tech thermal ink jet (TIJ) system that rivals any continuous ink jet (CIJ) you may have. These compact, click-and-go printers use solvent based ink – just like the CIJ printers – that prints on non-porous materials including glass, plastic, and metal. With Code Tech systems, the ink is contained within one single cartridge so every time you click in a new cartridge, you get a new printer. And that’s with zero downtime. Plus, you eliminate the need and the costs associated with disposing of hazardous materials in the plant. The stainless steel washdown printers are IP65 rated and ideal for processing environments. Our Atlantic technicians are skilled at integrating these compact printers with your VFFS machines to make them work with your unique setup. The washdown units print on Cryovac, Bemis and other barrier films. 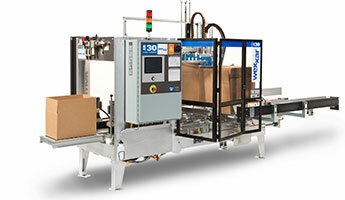 Code Tech printers are on display with various machines at Atlantic’s Packaging Solution Center in Charlotte, NC. We invite you to schedule a time to visit the Center and see these printers in action.